Take a Word asked for POPPIES and here are mine. 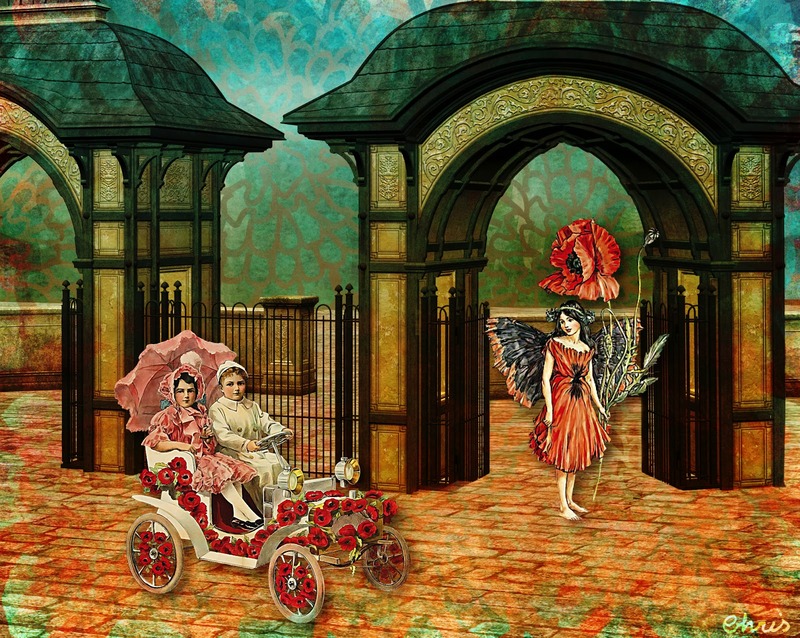 Background: Finecrafted Designs; kids in the car: Rian; fairy: Cicely Mary Baker; overlays: Rebecca Mcmeen; texture: Kim Klassen. welcome in poppy-land! fantastic collage! I love the green sky and the red ground. Very poetic and a bit surreal. What glorious use of that Finecrafted background!! Inventive, creative, imaginative, and downright beautiful!!! Oh wow, what a wonderful flight of fancy to the land of poppy. Take a bow, my friend.